Your life insurance needs are probably the most critical consideration in planning the financial security of your family. As long as you are alive and earning the family will be just fine but what will happen to the ones you love upon your death. Life insurance replaces the income of the wage earner upon his or her death. The proceeds of the policy pays off outstanding bills as well as Federal Estate Taxes. What are your financial needs? How much life insurance do you need to secure your family's future? The answer to this question varies from person to person. Here are some of the more important things you should think about at this time. The bills still have to be paid even though the income of the breadwinner ceases. The rent or mortgage has to be paid. Money is needed to provide food and clothing for the family. There are always unexpected cash needs especially if you have children. Your automobile may need to be serviced or repaired. Cash will be required for that. Funerals are becoming more expensive each day. You will need at least $10,000 to take care of that. Cash will be needed to pay off outstanding debt. You should have a will. This will need to go through probate and you will have attorneys fees to pay. You may have a child in college. You will need cash to keep that child in college. Think about an adjustment income when considering your need for life insurance. Let us suppose the surviving spouse does not work outside of the home. She may want to or have to. She may need additional education or simply a refresher course. A fund for this would be a good idea. The house you live in now may be too big and too costly for the survivors. They may want something smaller. Income may be needed to sustain the family until this adjustment is made. The survivors may have assets large enough to take care of the things detailed above upon the death of a breadwinner but wouldn't it be great if those assets were not disturbed as there is sufficient life insurance at work for you. In order to arrive at an accurate figure go to this page and use the life insurance needs calculator. 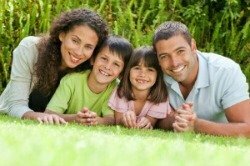 Qualify For Up To $400,000 No Medical Term Life Insurance - Just Answer A Few Health Questions. Click Here And Save!